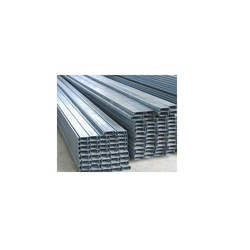 We are a leading Exporter of cold roll formed metal sections from Mumbai, India. We design and manufacture a wide gamut of Cold Roll Formed Metal Sections. Cold roll forming is the most efficient method of converting sheet steel into desired shapes through a gradual process of bending by a number of specially designed rolls mounted on a cold forming mill. This gives added advantage to coldformed steel sheet because the shaping process actually maks the part stronger.